"All that you see exists together in a fragile parity. While others scan for what they can take, a genuine lord looks for what he can give." 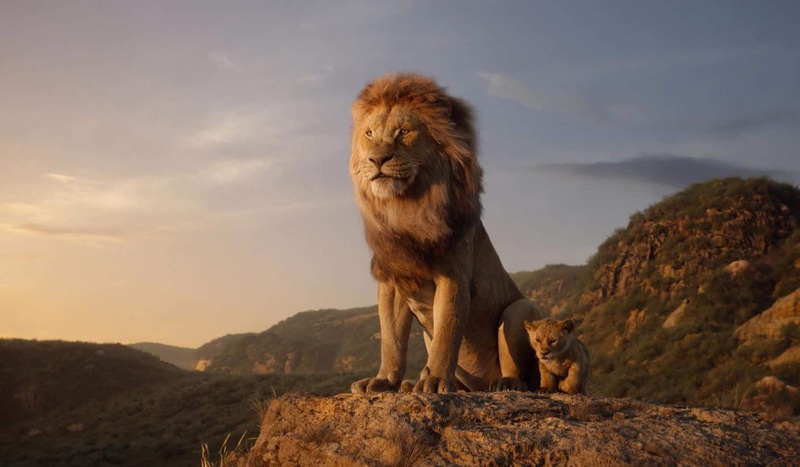 Both the ruler and the takers are enlivened through photorealistic CGI in the new trailer for Disney's The Lion King. A vivified highlight turns into a moment great during the '90s and, years after the fact changes into a no-frills include (or as near a real to life highlight as it can get). In Hollywood, that is the thing that we call the hover of life. Be ready because Chiwetel Ejiofor's Scar makes that big appearance in this new film from Jon Favreau's film. There's still no Beyoncé singing "Would you be able to Feel the Love Tonight" with Donald Glover's Simba, however, you, in any event, observe her character Nala, just as a couple of different staples of The Lion King story. There's Seth Rogen's Pumbaa, Billy Eichner's Timon, John Oliver's Zazu, and James Earl Jones' Mufasa. Great scenes changed in this new activity style, like what Favreau did with The Jungle Book, are additionally in wealth: the wildebeest pursue, "Hakuna Matata," John Kani's Rafiki in his tree, and a youthful Simba jumping after creepy crawlies. The Lion King will open in theaters on July 19.